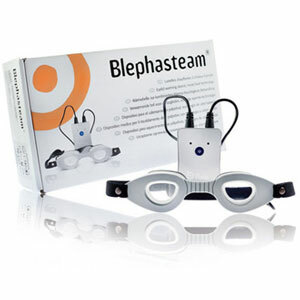 Blephasteam is an eyelid warming and cornea moisturising device recommended to relieve symptoms of Meibomian Gland Dysfunction (MGD) and associated diseases such as severe blepharitis, contact lens intolerance, and severe dry eye. Its action unblocks meibomian glands, improves tear quality, therefore improving symptoms, ocular health, vision and comfort. Eye specialists have confirmed that a daily application of heat and humidity on the eyelids has a beneficial effect upon the Meibomian Gland on the lids and the cornea Blephasteam has been found to improve tear film stability and ocular health.